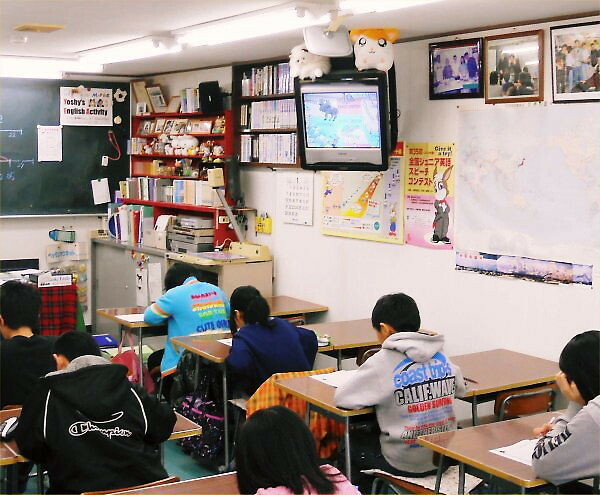 After finishing the interview-testing, all the participants in the 3rd English Testing (authorized by STEP: The Society for Testing English Proficiency, Inc.) were given his/her Certificate in their lessons of LL Shihoya Arai School. The highest grade in this case was the 2nd grade from the lowest grade of the 5th). Let me introduce one of Certificates in order to have those Junior STEP leveled students whose competence still don’t come up to Practical STEP inspire in their keeping studying in LL Shihoya Arai School. Three kinds in a Certificate: written in Japanese, English and the portable card. When Yoshy first tried the 4th EIKEN, I was in the 1st grade of Arai Senior High School. There were four grades: the 4th, 3rd, 2nd and 1st. Yoshy could pass the 2nd grade in my 3rd grader, which was thanks to an English teacher, Ms. Kazuko Maruyama who had been working as an interpreter then became an English teacher in our school. She and Yoshy started “English Conversation Club” for the first time in its history. 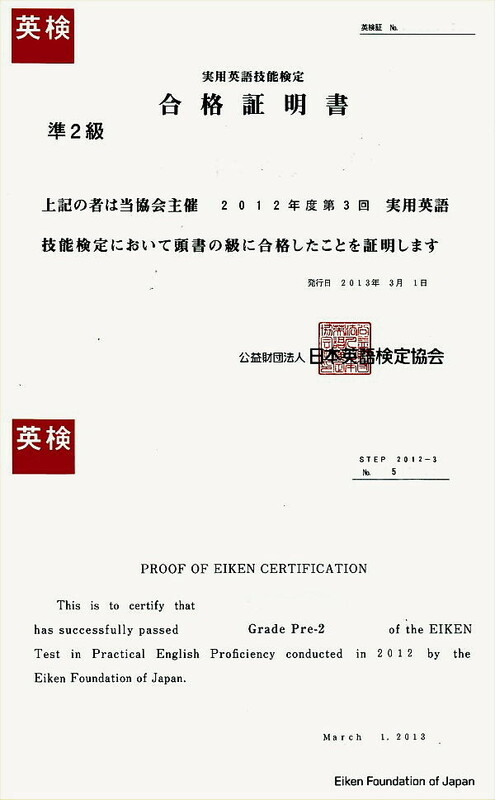 Three challenged the Interview of the 2nd Eiken; only Yoshy could pass it. The small card of its Certificate was as same size as before, written in English, “PASSED” only, too. 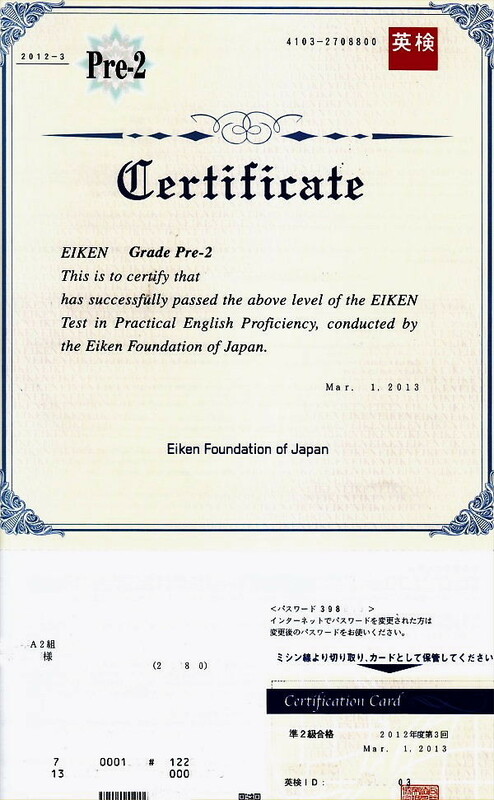 Now there’re seven grades in Eiken Testing added with “5th, Pre-2nd and Pre-1st”.